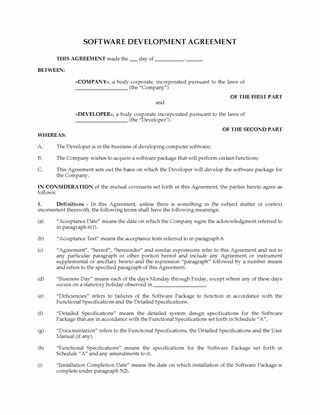 Place software into escrow with this comprehensive Software Escrow Agreement for Canadian software developers. Parties. 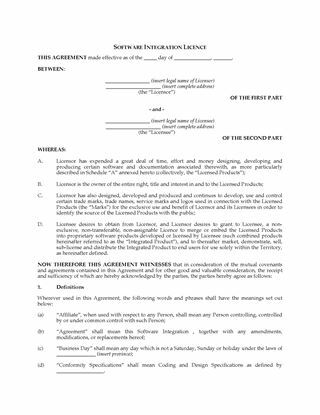 The escrow is being set up in conjunction with software licence and maintenance agreements between a developer and a customer (licensee) who requires uninterrupted availability of the source code as an essential element of its business. 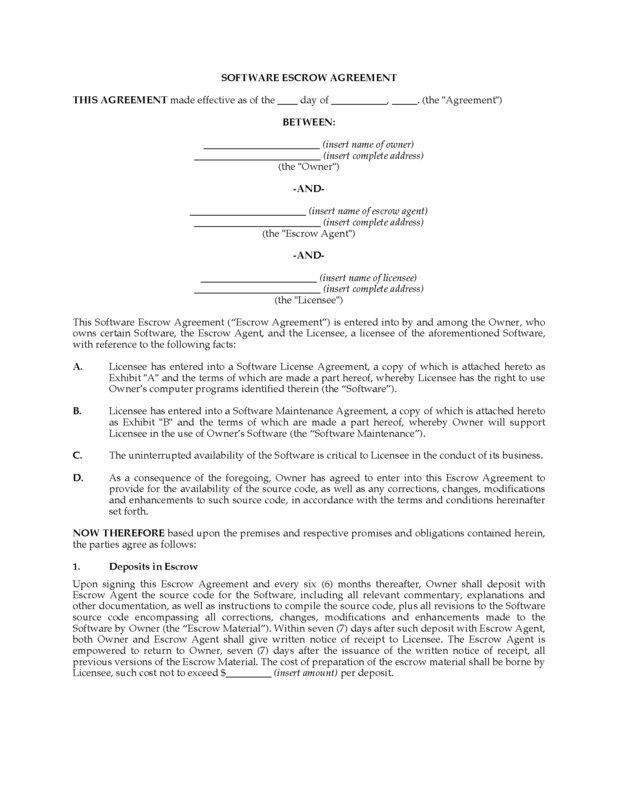 Terms of Escrow. The developer will deposit the source code, documentation and related materials with the escrow agent following development, and will deposit upgrades to the software each time modifications are made. 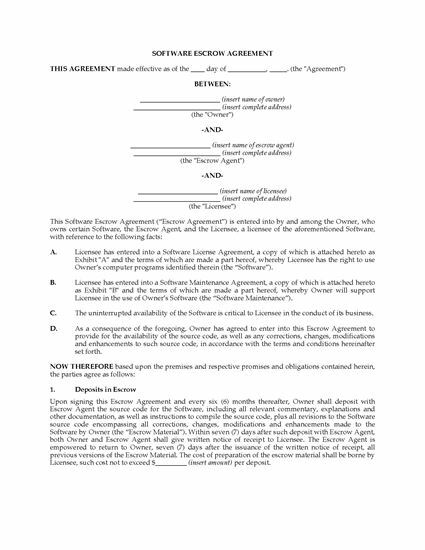 Role of Escrow Agent. 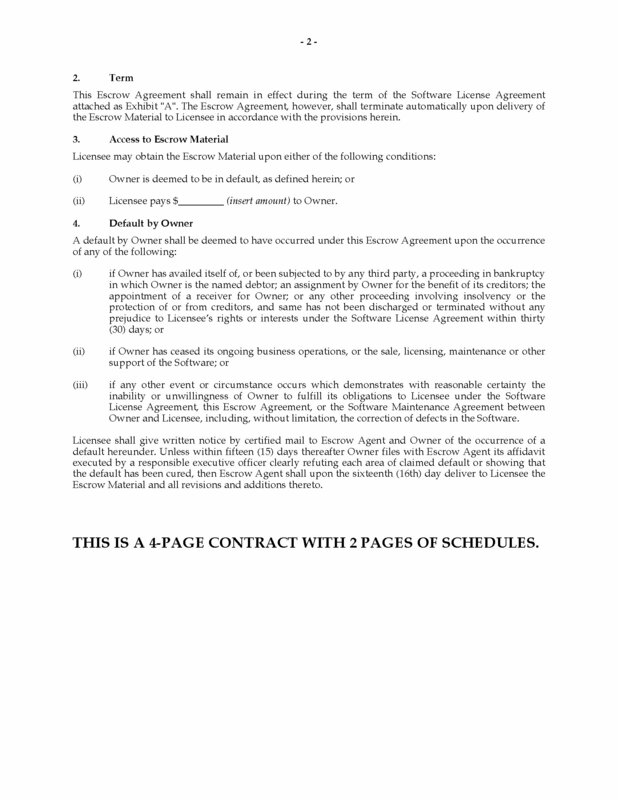 The escrow agent will hold the materials in escrow until such time as it is instructed to release them in accordance with the agreement. Ownership of Materials. The developer remains the owner of all escrowed materials. The licensee's interest is limited to that of a licensee only. Indemnification. The developer and the customer both indemnify the escrow agent against all liability, damages or costs arising from its acting as escrow agent. Scope of Law. This is a U.S. legal document intended for use within the United States. How to Get the Form. You can download the MS Word document immediately after you purchase it. Other formats are available on request.